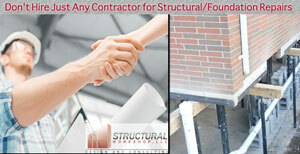 A good foundation inspection will include a thorough search for water infiltration. 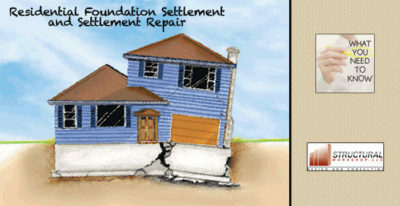 In many cases, water pressure or infiltration is the cause of foundation problems. It is not acceptable to fix only the damaged that exists, the cause of the problem must also be identified and fixed. Wet basements are not desirable. 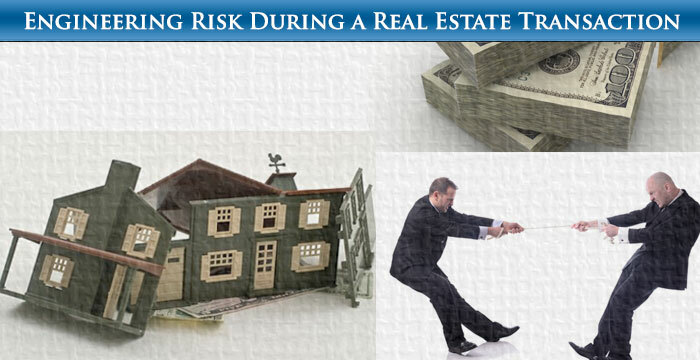 They can cause environmental hazards such as mold. They can make it impossible to finish a basement. They can destroy finishes and furnishings in a finished basement. As part of a foundation/basement rehabilitation program, the Engineer should evaluate the severity of the water problem and the existing drainage system. Before spending money on installing new drainage systems, the functionality of the existing system should be evaluated. Sometimes, a simple fix to the existing drainage system will solve the problem. It can be as simple as a clogged pipe. 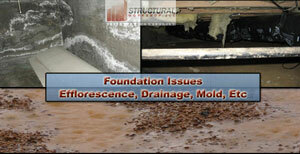 The grading around the foundation should be examined to ensure water is flowing away from the foundation. The gutters and downspouts should be inspected for proper arrangement and functionality. The sump pit and pump should be evaluated. We generally recommend making sure that the existing system is fully functional before exploring other options. Sometimes a ten dollar two hour fix can save a homeowner thousands. If the existing system is fully functional and a water problem still exists, an Engineer needs to evaluate the best and most cost effective method to post-install drainage. Typically, any issues with grading, gutters, window wells, and downspouts are addressed first. Next, a drainage system is installed. This can consist of exterior drains, either near the surface or at the footings. It also can consist of an interior drain system. In this case, a pipe drain is installed around the interior perimeter of the foundation and weep holes are drilled into the foundation wall to allow exterior water to pass through the wall. A collector system catches this water and allows it to flow to the drain pipe. A sump system is usually installed to get the water from the drainpipes out of the basement. Efflorescence is the white, sometimes fluffy deposits on the interior of your basement walls. It is caused by water soluble salts dissolving in water that is moving through the basement wall. These salts usually come from the wall material itself but can come from the backfill behind the wall or other sources. When the water evaporates on the surface of the wall, the salts solidify and leave the white deposit. Efflorescence is rarely a structural concern, but is a sure sign that water is moving through the wall and the drainage is not adequate. A wet basement is to mold what a greenhouse is to a tomato. Mold is quickly becoming the next asbestos in terms of litigation. Often, basements with water problems will have mold problems to some degree. Whenever signs of mold are identified, a Home Inspector or an Engineer should advise that you contact a licensed testing firm to confirm the presence and type of mold and discuss remediation options. The following link will take you to the Environmental Protection Agency’s web resources on mold where you can find a wealth of information. Stone foundations are subject to the same mechanics and water characteristics as all other foundations. The difficulty with stone foundations is in remediation them. Beyond patching damaged areas, there is usually not much that can be done to reinforce a stone foundation. Generally, a judgment must be made whether or not it is adequate and if it is not, it must be replaced. Stone foundations also have a tendency to crumble when disturbed. Be very careful when working on a old stone foundation. Sometimes the wall and/or mortar has completely degraded and a delicate balance of forces is containing and stabilizing the wall. The wall will show no outward signs of distress until it or the backfill behind it is disturbed. We have seen several construction projects that had to be halted when the old stone foundation walls started to crumble when the backfill was excavated. Many homeowners will attempt to use interior paints and sealers to solve a basement water problem. We do not recommend this approach. Yes, it is an inexpensive fix, and may help or solve the problem, but at a cost. If an interior sealer works, you have created a barrier that prevents water and moisture from escaping the walls. Water will continue to infiltrate the walls from the exterior, but now will have nowhere to go. Essentially, your leaky basement was actually good for your walls as it allowed the water that had penetrated the walls to escape. Chronically wet walls are subject to many problems. An interior sealer should only be used to control minor levels of moisture, not as a solution to a leaky basement.